Why study the Bachelor of Business and Commerce? You need to complete at least one or two majors and six compulsory, common, core units. This course consists of six core business and commerce units, an eight-unit major from a list of approved majors and eight open electives. It is possible to form a second major from your open electives. The Monash University Handbook has detailed information about the structure and requirements for the Bachelor of Business and Commerce. skills in interpersonal communication and cultural awareness in a global business environment. Mathematics (Australian Year 11 equivalent) is a prerequisite for the Bachelor of Business and Commerce. Each year, there are three intake periods for the Bachelor of Business and Commerce. This means you can start in February, July or October. Is there anything Mohd Hazli Ali Zapar can’t do? 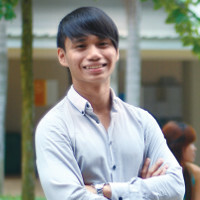 The business and commerce graduate beat 30 other contestants to win the 2010 online reality series The Rookie, about when he set up the Green Leaf Theatre House in his hometown, Kota Kinabalu, Sabah. The NGO gives young people a stage to express their ideas and talents.